This tall table lamp will add a statement touch to modern interiors. 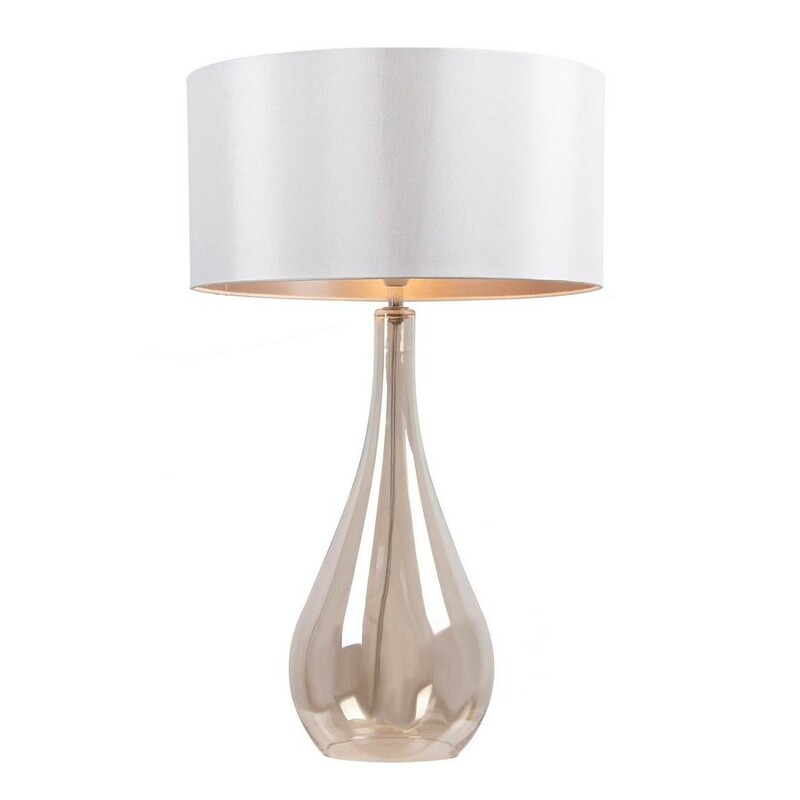 Designed with a mirror chrome base in a large droplet silhouette, it is finished with a glossy champagne shade that keeps warming glows soft and welcoming. It requires 1 x 8W bayonet cap BC LED bulb.